As a Corpus Christi property owner, you may be eyeing the approaching storms on the horizon with trepidation. Not only are windstorms, hailstorms, tornados, and hurricanes devastating, they take their tolls on area roof tops. Even if your home withstands the fury of the next storm, your roof is sure to take a pounding. Pounding after pounding leads to varying degrees of roof damage. 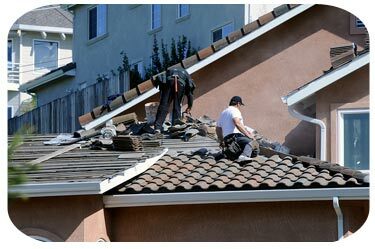 From leaks and missing shingles to roofs sheared off completely, we are Corpus Christi roofers who have seen it all after twenty plus years of service in the area. Having repaired damaged roofs and installed roofs of all types, you can count on our expertise no matter how severely your roof is damaged. Our team of roofers is experienced in repairing roofs of all types. Whether your roof has sprung a leak or has been damaged by hail stones, fallen branches, or wind shear, we are dedicated to providing you with prompt roof repairs. We offer free, no obligation estimates and work with all major insurance companies. Need a new roof? Let’s face it, roofs do not last forever and your roof may eventually need to be replaced completely. Our Corpus Christi roof installations are top-notch. We work with you to select the right style of roof for your neighborhood and the right materials for your budget. We specialize in providing quality workmanship and materials at reasonable prices without cutting corners. All work is done to code and guaranteed. In addition to roof repair and installations, our team of Corpus Christi roofers also specializes in new construction and remodels. Our team works well with other construction crews, contractors, sub-contractors, city inspectors, and residents. Our commitment to providing expert Corpus Christi roofing services has not gone unnoticed. We have been serving the area for over 20 years and have a long list of satisfied customers.